by Flexaust of Warsaw, Indiana. FlexStat® Static Dissipative Hose is extruded from a specially formulated clear polyurethane with an ABS helix and an embedded copper grounding wire to reduce static build-up. 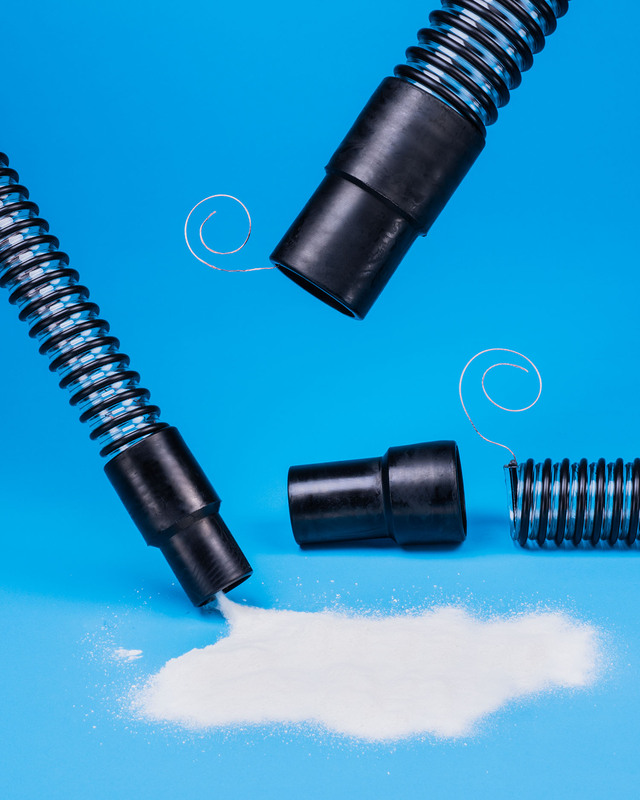 Featuring new screw-on conductive PVC cuffs for added protection and secure equipment connections, this highly flexible and abrasion-resistant hose is ideal for powder transfer and dust evacuation. Helping to improve plant safety, FlexStat® Static Dissipative Hose with conductive cuffs allow the grounding wire to make full contact with vacuum machinery. Made with FDA acceptable materials, this hose is 0.040” thick, provides 108–1010 Ohms/Sq. surface resistivity, and comes in 1” to 8” I.D. sizes with cuffs for 1.25”, 1.50”, and 2.00” sizes. A smooth interior assures minimum friction loss and it operates from -40°F to 200°F. FlexStat® Static Dissipative Hose is priced according to size, length, and quantity. Free samples and price quotations are available upon request.